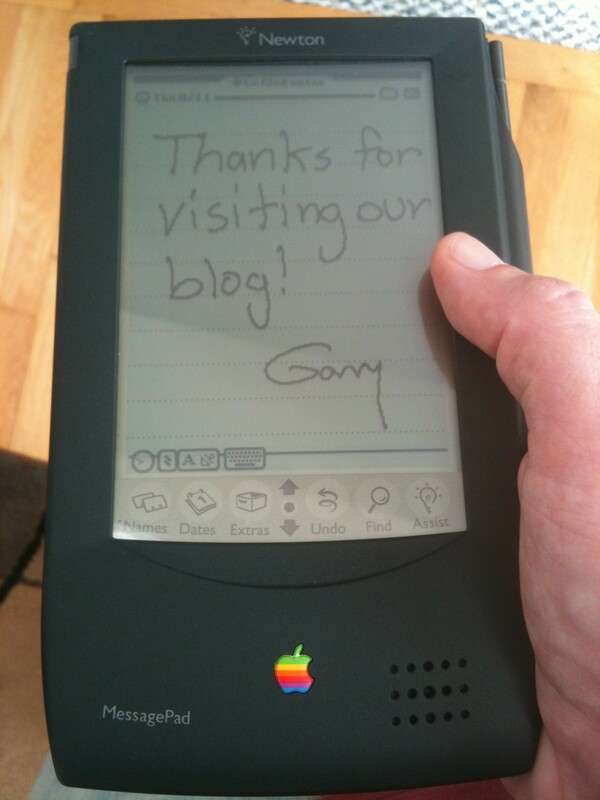 I was always bummed that I never got to own an Apple Newton. Well, thanks to cousin Dustin Tiep (of Mac MD LA) those days are over. I am now the proud owner of an original working Newton MessagePad. I’ll configure it to get my email as soon as I find something called a “mo-dum”. This entry was posted on Thursday, August 11th, 2011 at 6:27 pm	and is filed under Uncategorized. You can follow any responses to this entry through the RSS 2.0 feed. You can leave a response, or trackback from your own site.